Unit tests have many uses. Primarily, they’re the canary in the coal mine of our code, and alert us when changes are about to go horribly wrong. When Niels’s team saw a recent change broke their unit test, they instantly knew how to fix it. 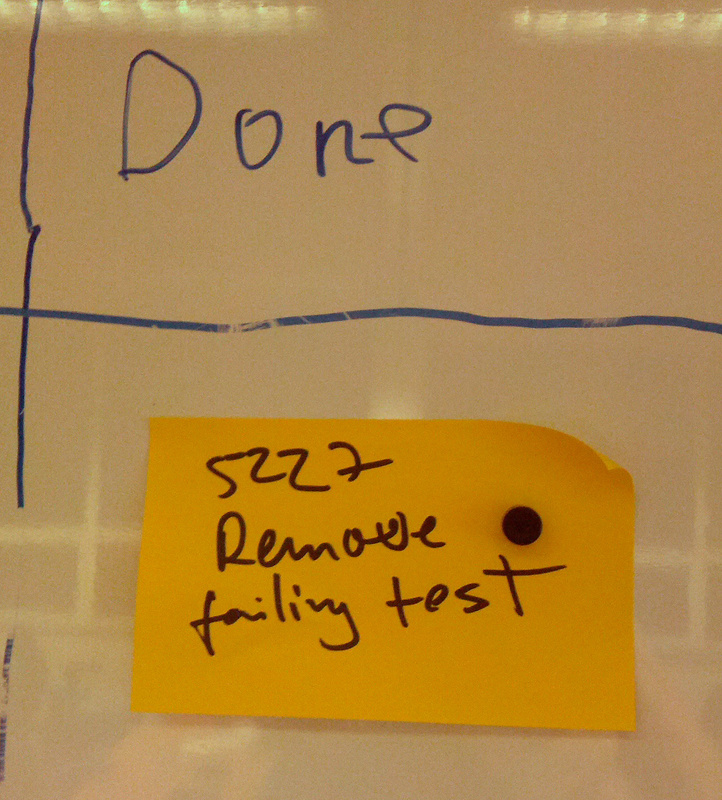 And look at that, it’s already moved over into the “Done” column of their Kanban board. That’s some serious productivity. I cured the worrying knock and rattle in the engine of my car by the simple expedient of turning up the volume of the radio. Everyone, it may not be a real WTF, but you're missing the point. This post is simply a metaphor. It's a new year and we should all strive to remove the "failing tests" from our lives.